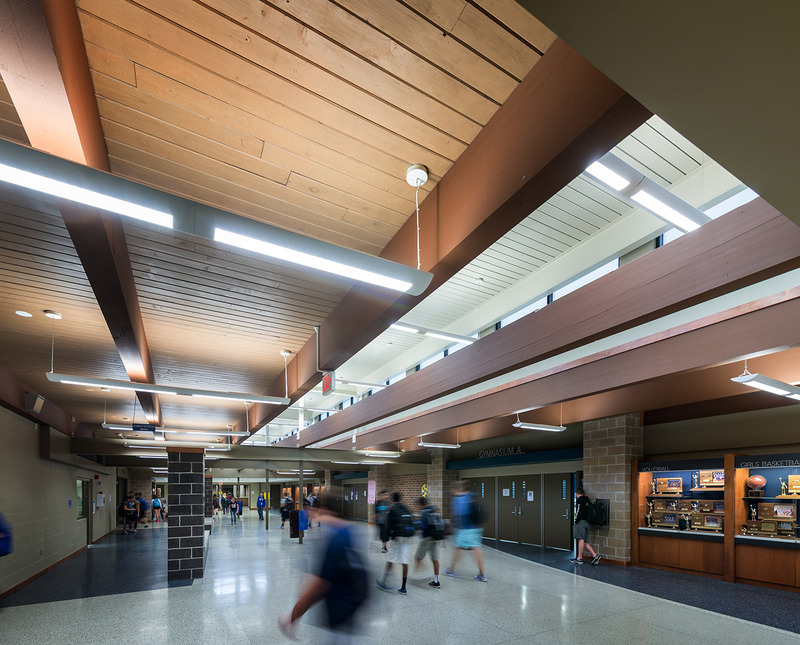 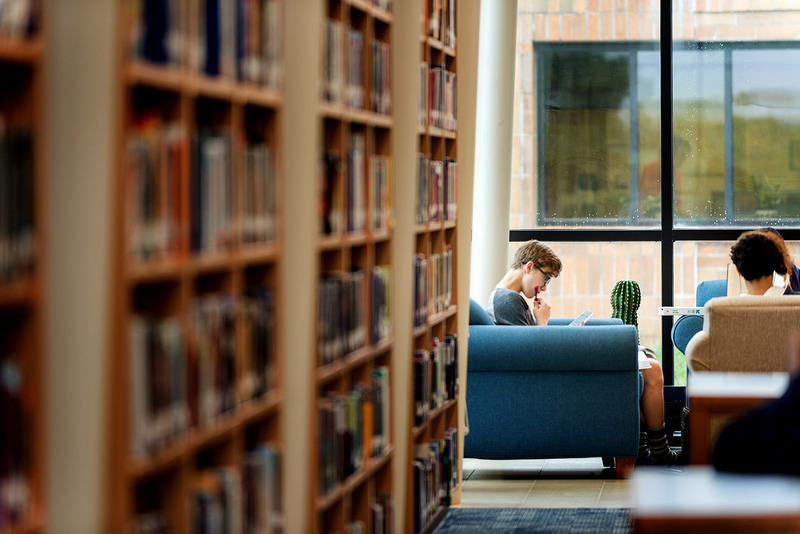 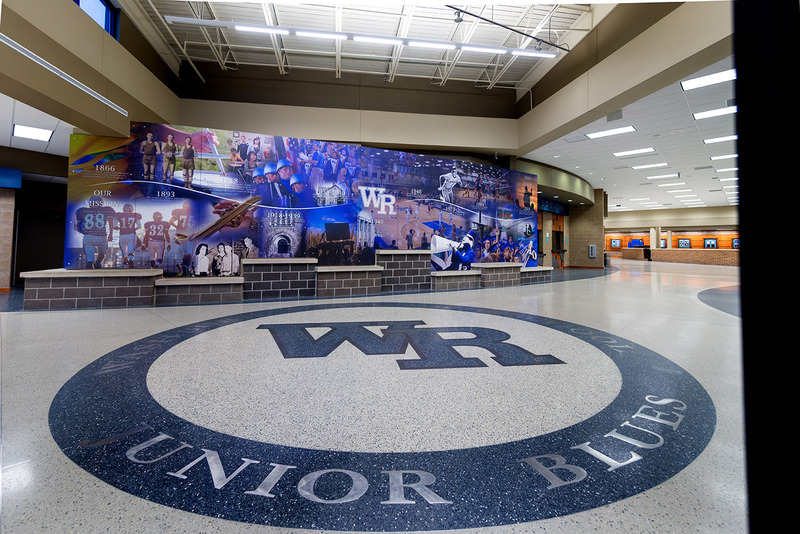 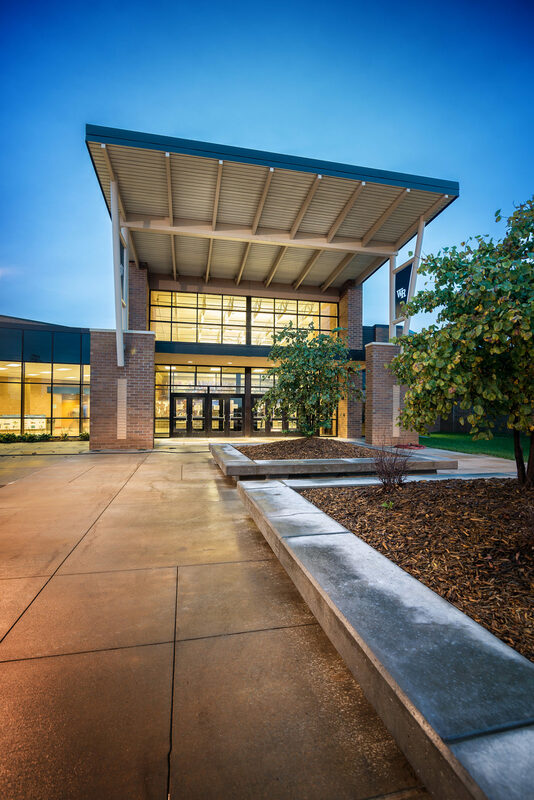 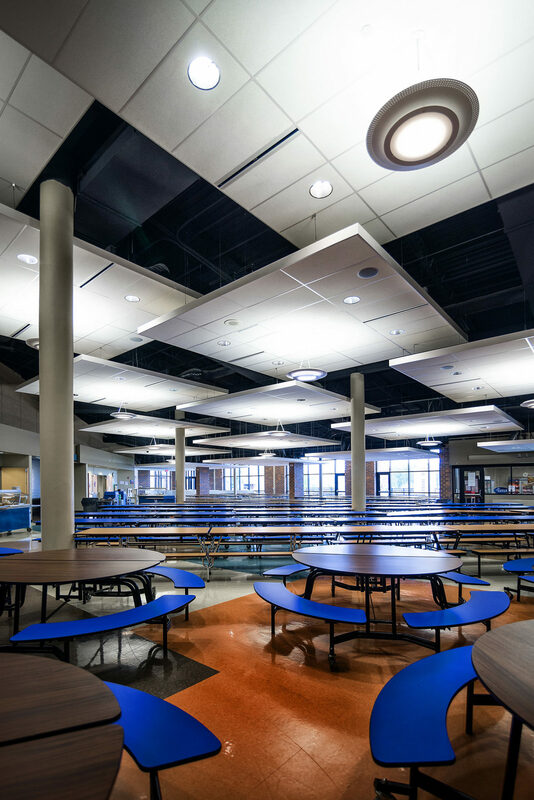 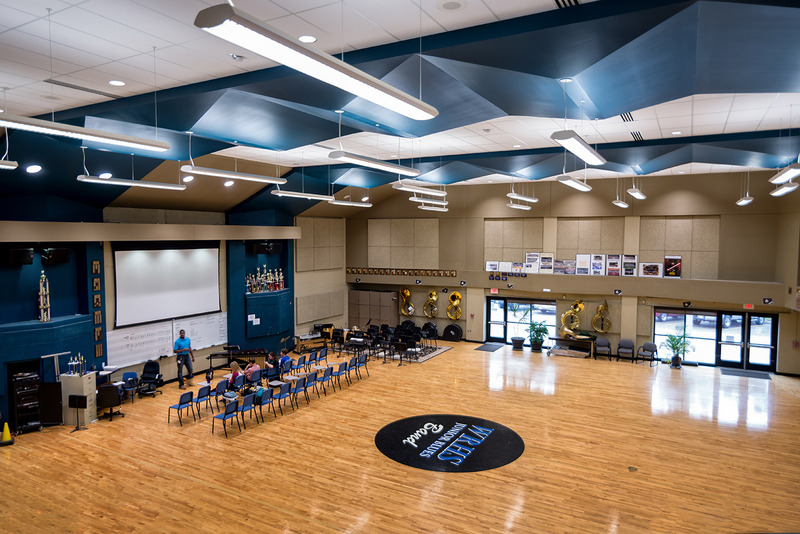 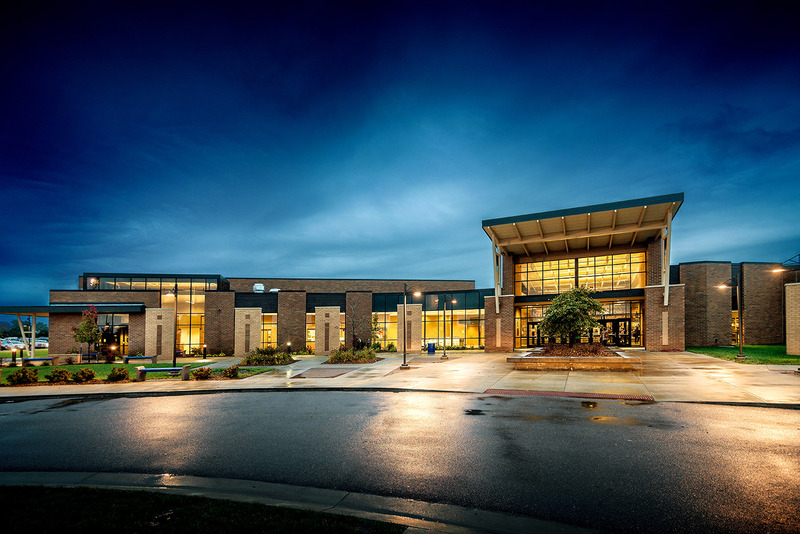 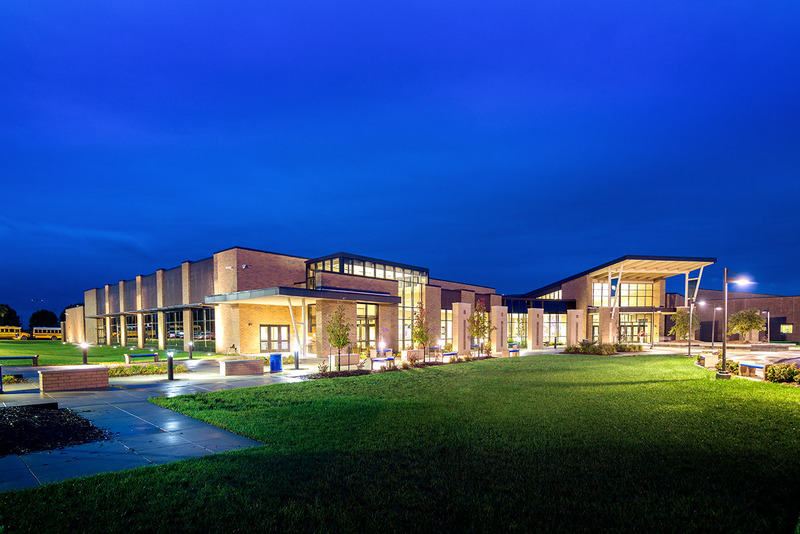 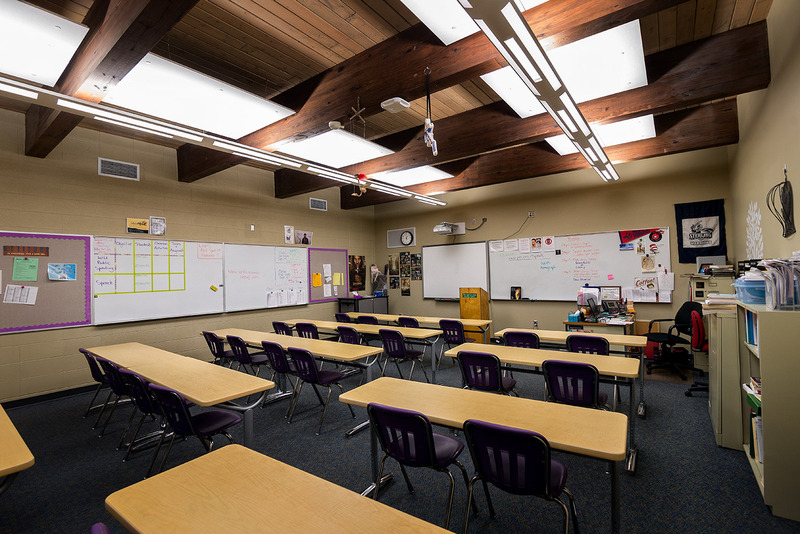 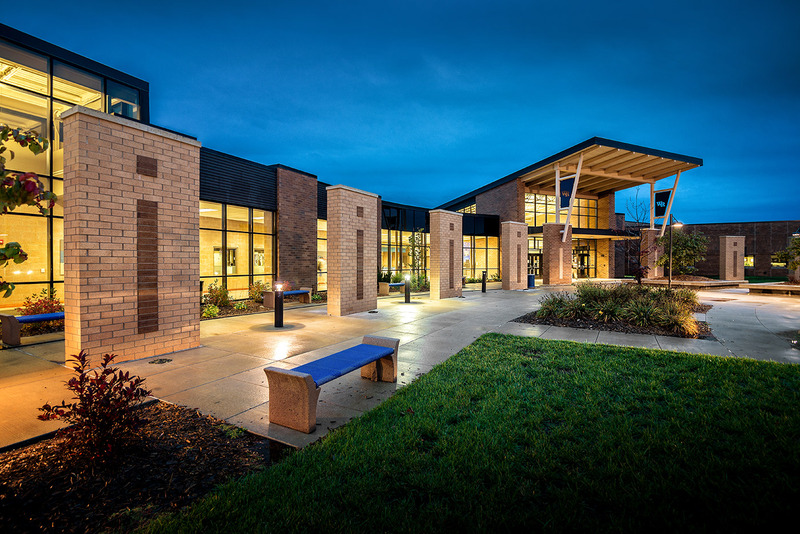 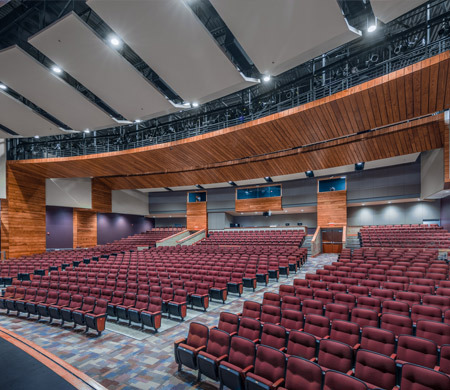 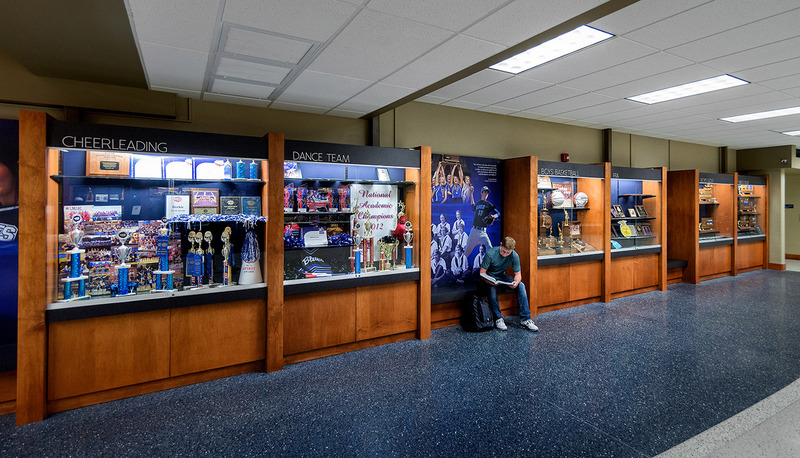 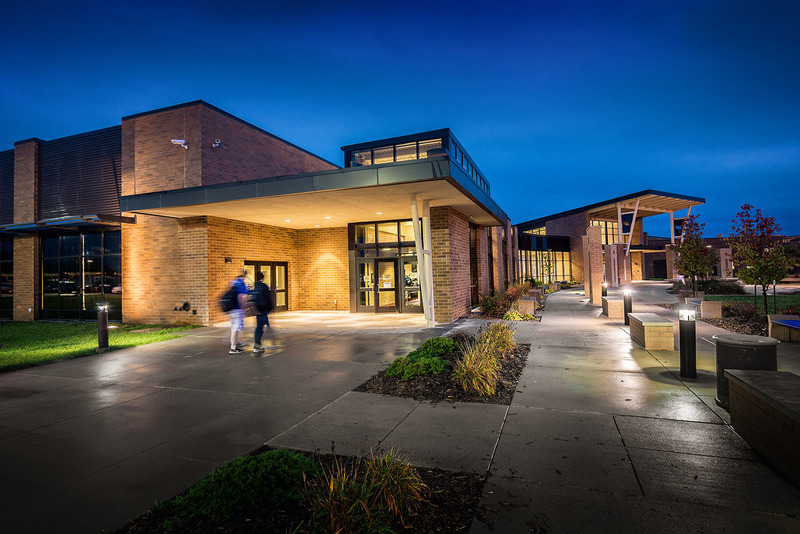 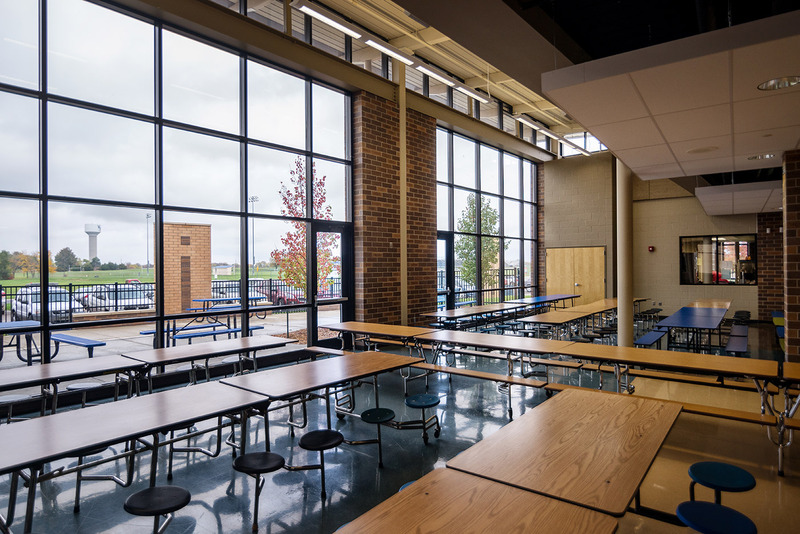 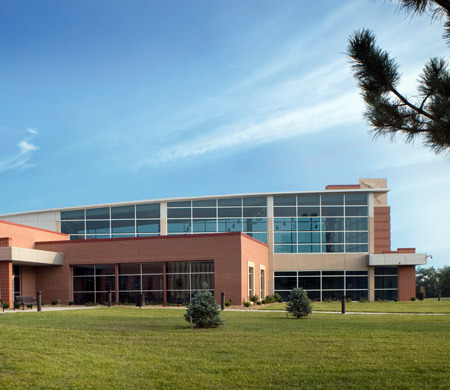 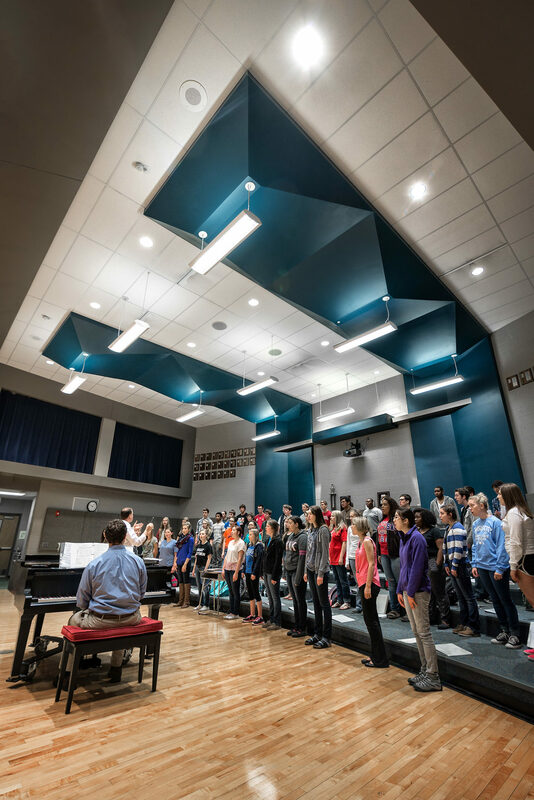 The $20 million Washburn Rural High School addition & renovation is designed to create a seamless integration between the existing building spaces at the Washburn Rural High School and the new additions and renovations. 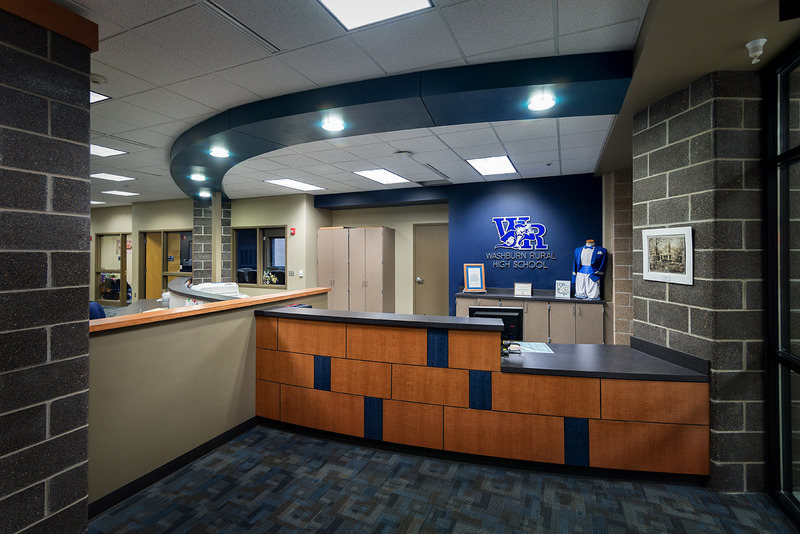 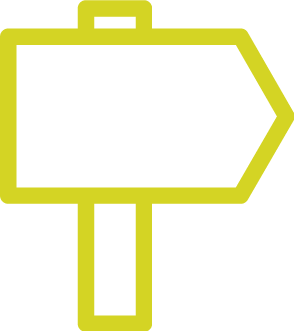 New room signage and way finding are used throughout the building to create a uniform building design. 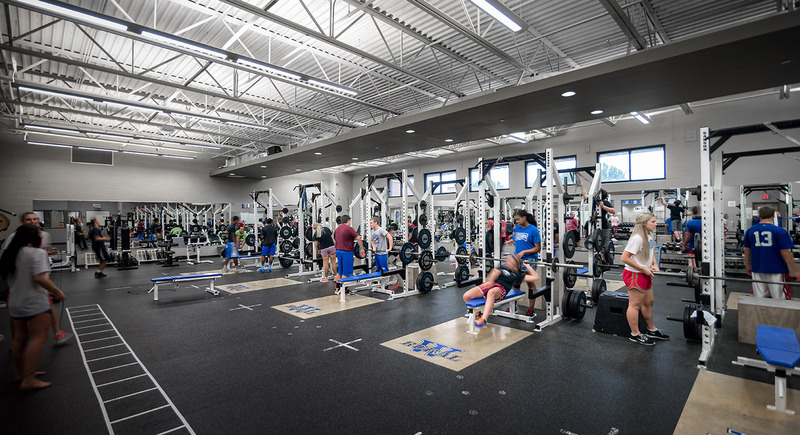 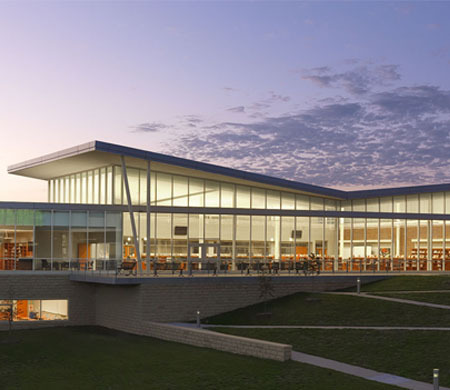 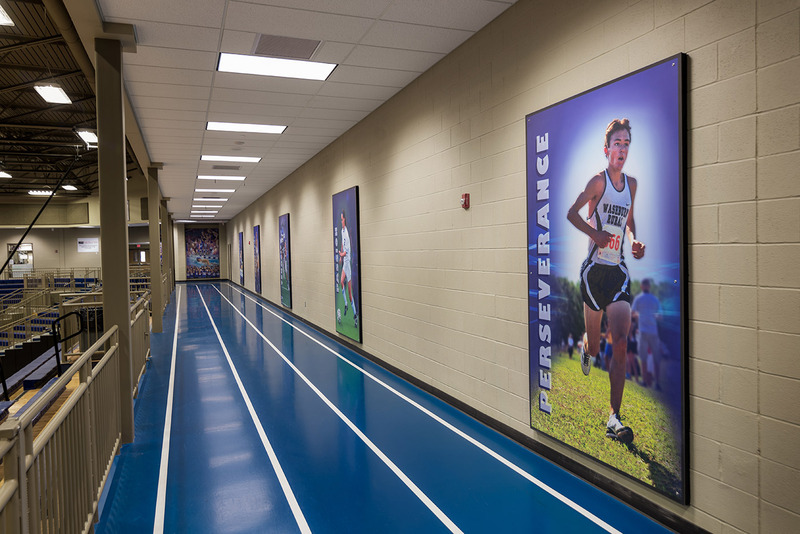 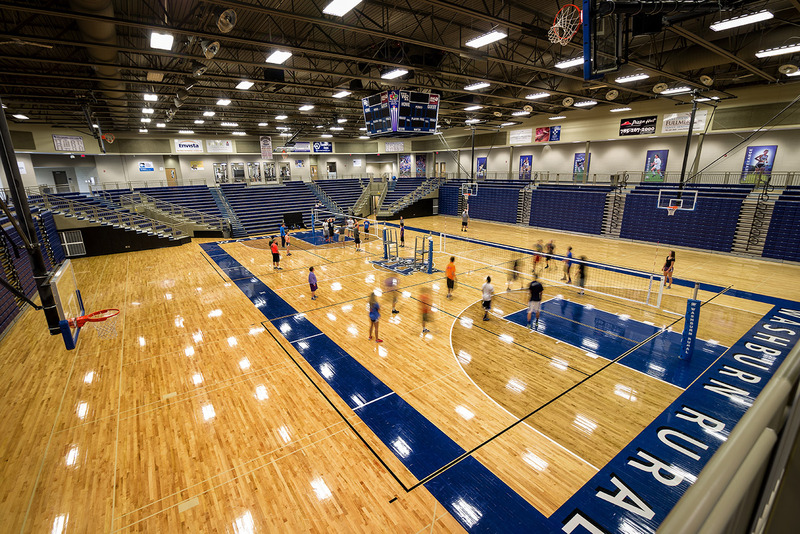 The Washburn Rural High School additions and renovations include the design of a new top loading, 2,600 seat gymnasium that features a running track around the upper perimeter and also connects to a new weight room facility. 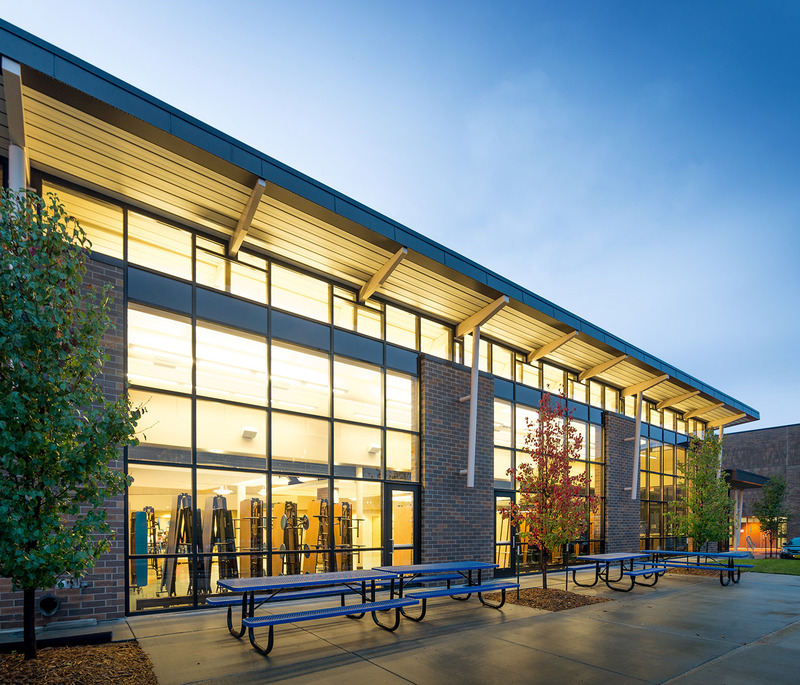 HTK also assisted the District in obtaining a $750,000 grant for construction of the lower level locker room areas, which are FEMA rated. 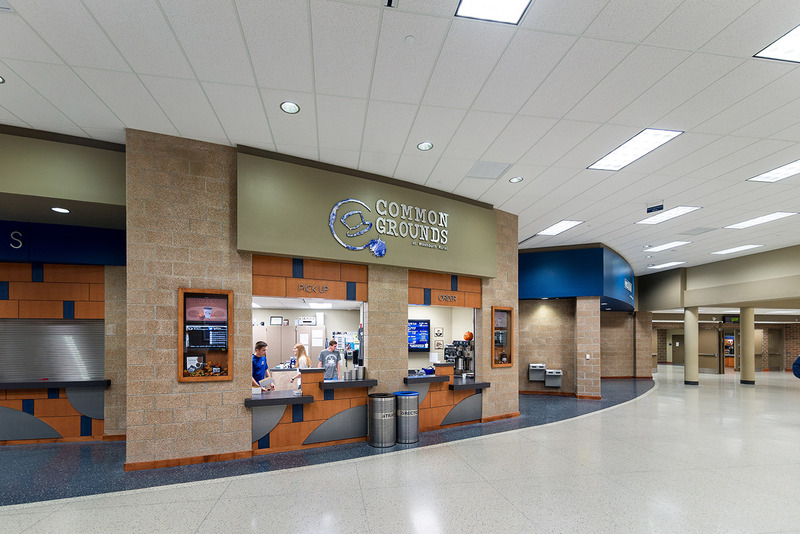 Additionally, an expanded commons features new concessions, a coffee bar and a full service bank. 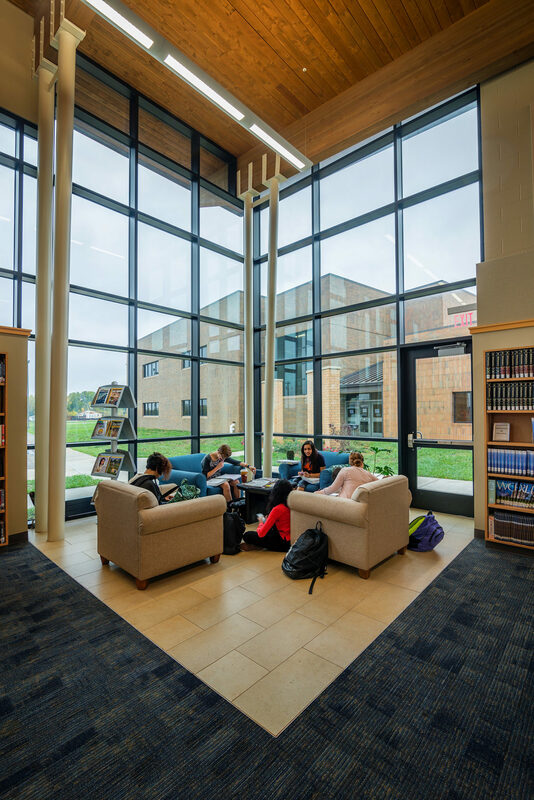 HTK also designed a new 21st century media center that maintains the warmth of a traditional library. 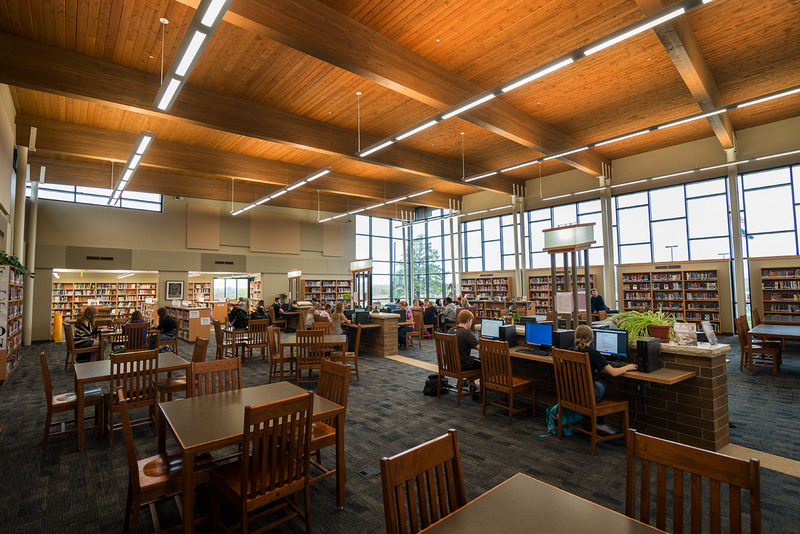 The media center features two computer labs, a disappearing AV screen, underground fiberglass duct work and laser smoke detectors to keep wood beams and ceiling free from “clutter”. 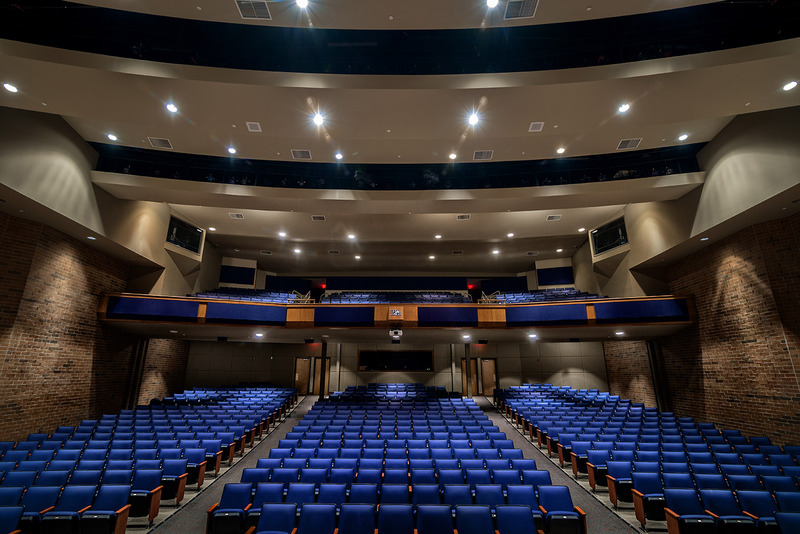 In addition, the existing auditorium and Arts Suite now include a 250 seat balcony. 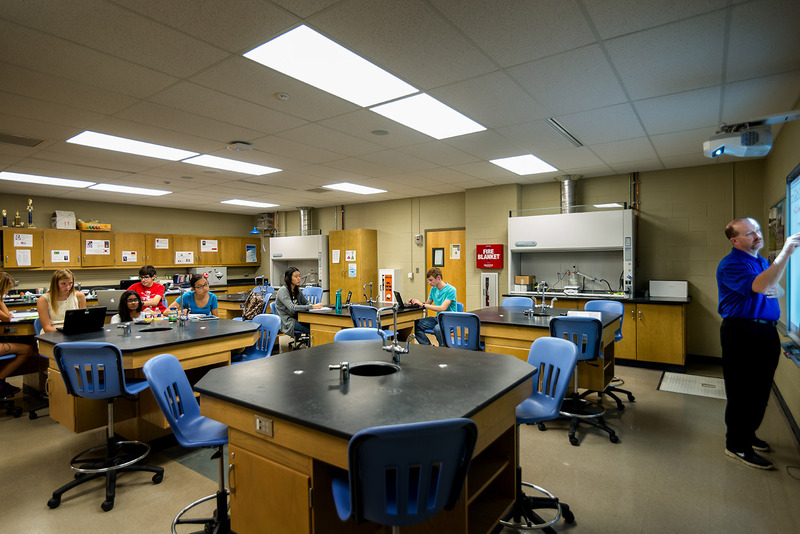 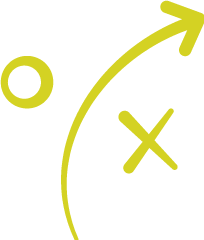 Furthermore, two new Science classes were added.